The Royal Langkawi International Regatta (RLIR) 2016 is organised by the Royal Langkawi Yacht Club (RLYC) and sanctioned by the ISAF and Malaysian Sailing Association (MSA), and supported by the Ministry of Youth and Sports, Malaysia. 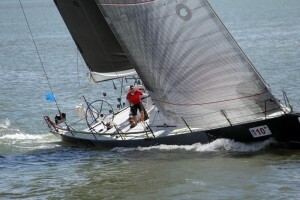 Part of the Asian Yachting Circuit the regatta attracts sailing yachts from the Asia Pacific area and participants from around the world, racing in a different classes and categories competing for The Prime Minister Challenge Trophy. The 13TH KFC LANGKAWI INTERNATIONAL REGATTA PERDANA 2016 and ASAF SAILING CUP 2016 will be held at the National Sailing Centre, Langkawi. International and National Sailors will compete in challenging categories which include Optimist, Lager Full Rig, Laser Radial, Laser 4.7, Int. 420 & Wind Surfing, Byte and Big Techno. The PGM LADA Langkawi Championship is part of the Asian Development Tour, held at the magniﬁcent golf course at the foothill of the of the majestic Gunung Raya mountain, with rolling greens, panoramic tees and impeccable fairways contoured with sand traps and water hazards, the professional golfers will compete for a total prize of RM300,000.00. 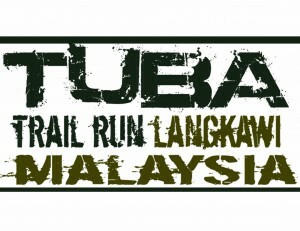 The TUBA TRAIL RUN will be held on 2nd April, 2016. The 30 km run on new pre-set trail goes through the pristine tropical wilderness of the islands of Pulau Tuba and neighbouring Pulau Dayang Bunting within the UNESCO Dayang Bunting Marble Geoforest Park, passing through some of Langkawi’s spectacular natural wonders and amazing landscapes gets you a close up experience of the nature and wildlife of the Langkawi Geopark. Entries are limited to 450 participants only – to preserve the integrity of the natural environment. This annual culinary event has grown in size of participation and reputation. Sample the traditional rice-noodle delicacy, savouring the distinctive ﬂavours typical for various regions of Malaysia and Asia. Spice. Get great recipes from local and international Laksa Masters, join a Video & Photo Laksa contest, or have fun when participating in the Laksa Eating Competition. Come taste the sweet, sour and savoury creations. Malaysia Ultra Running is proud to bring the 1st edition of Langkawi Ultra Marathon 2016. 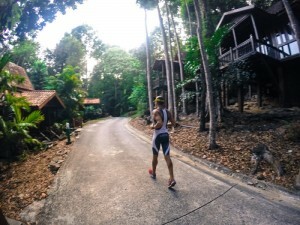 The race will start and end at the Resort World Langkawi, winding through the paddy fields, forest and beaches along the route – promising to bring one of the most unique ultramarathon race experience. Enjoy the scenic view of Langkawi while taking part in the 50km or 100km marathon around the Naturally Langkawi Island. 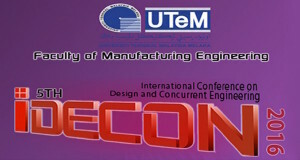 This will be the 5th iDECON event organized by the Faculty of Manufacturing Engineering, Universiti Teknikal Malaysia Melaka (UTeM). This year’s iDECON will take place on 19-20 September, 2016 and to be held in Adya Hotel Langkawi, Kedah, Malaysia. To disseminate state of the art information and knowledge of scientific findings in the area of science, engineering and technology. To initiate working network and to offer a suitable platform for knowledge sharing and exchange among local and international academicians, researchers, engineers and industrial practitioners who are actively involved in the field of science, engineering and technology. To serve as catalyst and inspiration for possible collaboration opportunities between academicians and their local/international industrial counterparts that will transform ideas and research findings into viable product. All registered papers will be published in Jurnal Teknologi (Sciences and Engineering) (E-ISSN: 2180-3722), by Penerbit Universiti Teknologi Malaysia). Tel: +606 331 6019, fax:+606 331 6411. The iconic IRONMAN® brand and event series is the largest participation sports platform in the world. Since the inception of IRONMAN® in 1978, athletes have proven that ANYTHING IS POSSIBLE® by crossing finish lines at the world’s most challenging endurance races. 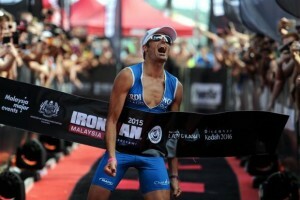 Join us for the Tropical Ironman in Naturally Langkawi. The Raja Muda International Regatta is a challenging offshore sailing race organized every year by the Royal Selangor Yacht Club. 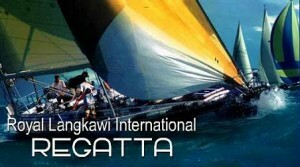 The event starts from Port Klang with 3 passage races to Pangkor, Penang and ends in Langkawi. 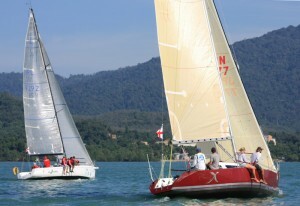 There are harbour races as well in Penang and in Langkawi during the week. Come and celebrate with us for the countdown to the new year of 2017!